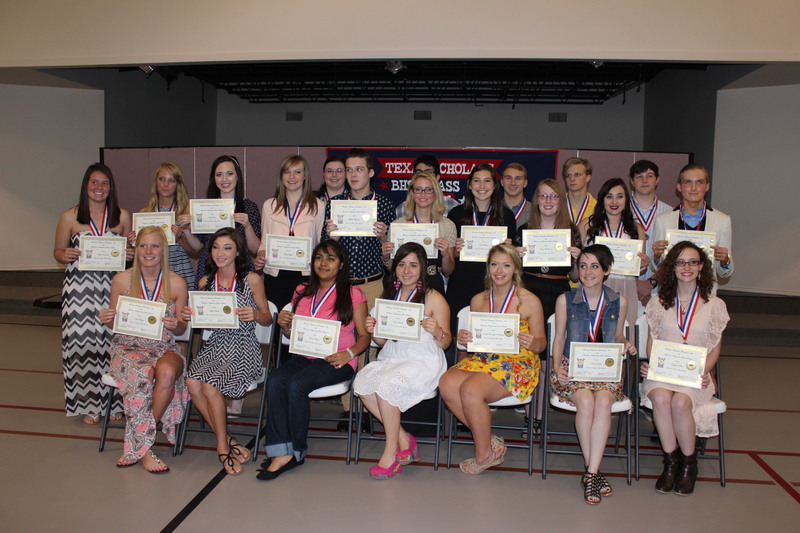 The Bonham Education Foundation awards Texas Scholars recognition to students at Bonham High School each spring. Students who meet the grade and course requirements are notified of their eligibility for Texas Scholars recognition and asked to submit proof of at least 8 hours of community service. The freshmen, sophomore and juniors who meet all of the requirements are presented certificates at the all-school awards ceremony in May of each year. Seniors who meet the requirements are honored at a special luncheon in May that is hosted by the board of the Bonham Education Foundation. Seniors are presented with certificates and medals. They are encouraged to wear their medals during their graduation ceremony. Because graduation requirements are changing, the board of the Bonham Education Foundation will be changing the requirements for Texas Scholars recognition beginning with the 2017-2018 school year. Once these new requirements are approved by the board, they will be posted here.